Peggy lives in a small house in a quiet street. One blustery day a big gust of wind sweeps down and scoops up leaves, twigs and ... Peggy! 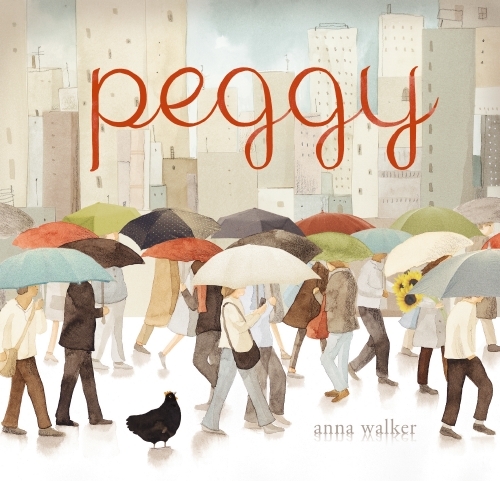 The wind blows Peggy into the city, where she discovers strange new things, but how will she find her way back home? A humorous and poignant story of a brave chicken on a big adventure.